Politicians and public officials who break conflict of interest laws will face heftier fines and more public exposure as Canada's ethics watchdog takes a harder line on enforcement. Nearly seven months into the job, Mario Dion says he wants to do more to hold public office-holders to account on behalf of the people who pay their salaries: Canadians. "I would rather be criticized for being too harsh than being too lenient as a general approach," he said in an interview with CBC News. "I hate it whenever I read 'lapdog'. My dream is that I will never be called that. I don't think I have been called that yet in this place. However, I will not let this guide my decisions. I have to decide what's fair." Dion's office enforces conflict of interest and ethics rules for MPs, ministers, parliamentary secretaries, ministerial staff and most other Governor-in-Council appointees, working to ensure they don't use their positions to advance private financial interests. Under his predecessor, Mary Dawson, the office took on several high-profile investigations, including probes of Prime Minister Justin Trudeau's island vacation with the Aga Khan and conflict of interest controversies linked to Finance Minister Bill Morneau and former Conservative cabinet minister Vic Toews. The office's findings and penalties frequently have been criticized as too soft. Dion completed the Morneau investigation and tabled a report in June, finding that the minister did not violate conflict of interest rules when he introduced a pension bill in the House of Commons while he still owned shares in his family's pension services company. The Trudeaus received posh gifts at the G7 summit. Can they keep any of them? A career civil servant, past commissioner of public sector integrity and former chair of the Immigration and Refugee Board, Dion took the reins from Dawson on Jan. 9, 2018 after she wrapped up nine years in the post. Dion said Dawson usually imposed a penalty of $100 for most violations of the Conflict of Interest Act. The standard fine under his watch, he said, will be $250. "I'm not a sports fan, but when I see an NHL player who is given a fine of $500 for having slapped his hockey (stick) in somebody's face, I find that it's not credible because I know how much the hockey player earns," he said. "I don't believe for a second this will have an impact on his behaviour. Sometimes I feel the same way about our regime. It's very small ... it's very symbolic." Dion said he believes Parliament should have a "serious look" at whether a fee structure that caps out at $500 is robust enough, or whether steeper penalties or even suspensions are more appropriate in cases of serious violations. He wants to create a climate where people take the rules more seriously than they have in past. A public registry of public disclosures exists on the commissioner's website, listing gifts received, sponsored travel and summaries of financial assets and liabilities. But Dion said most people don't access it — either because they don't know it's there or because it's too difficult to navigate. On his office's transparency to-do list is the task of making the registry more accessible and user-friendly. Dion has started tweeting about violations of conflict of interest rules to raise public awareness and keep politicians and staffers on their toes. "There is a deterrent factor that is also useful," he said. Dion also said he wants to speed up the investigations process, which has in the past dragged out individual investigations for many months, even years. While many factors can prolong a probe, Dion said he wants to eliminate unnecessary delays. According to figures provided by his office, the 36 investigations carried by Dawson took an average of 336 days each. The five that have been completed under Dion's watch have taken less than half that time — an average of 160 days. Dion says it's in the best interests of the public and individuals under investigation to accelerate the process. "Stories get stale if you take too long. Memories get bad. And the public interest also diminishes with the passage of time," he said. "So we'll try to do it with greater dispatch." Toews was found to have violated the act in April 2017 by taking consulting fees soon after he left office. His case took three years to resolve. "Failure to abide essentially has no impact, except of course through denunciation in our report," Dion said. "But there was no consequence, except public shaming." While some people deliberately break the rules, others violate them because they don't take the time to properly understand the rules or seek advice, Dion said. 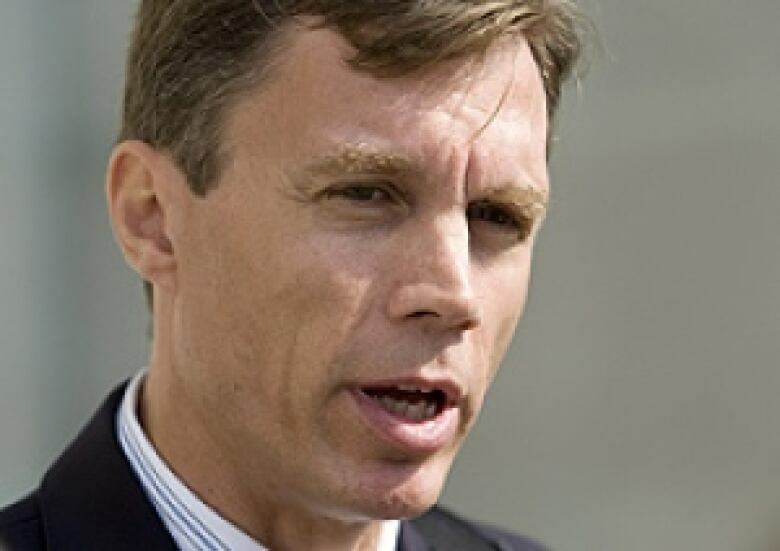 Democracy Watch co-founder Duff Conacher has decried the lack of significant sanctions and called the Conflict of Interest Act a "sad joke" filled with loopholes. "Canadians pay a higher penalty for parking illegally than the prime minister would pay for violating one of the most fundamental government ethics rules that protect our democracy," he said. Conacher said penalties should be much more severe — he proposes a fine equal to a year's salary for serious offences. He said he hopes MPs will recommend sweeping fines and other measures to shore up the ethics law when they carry out a mandatory five-year review of the act this fall. Democracy Watch is challenging Dion's appointment in court. "Given that he was handpicked through a secret process that failed to consult with opposition parties and was handpicked by the Trudeau cabinet, unfortunately I expect he'll continue the same record as a lapdog with weak enforcement like the previous ethics commissioner Mary Dawson," he said. That case is scheduled to be heard Nov. 14.